Back to blogging after a hiatus of three months during which I travelled too frequently for work assignments. Pressurised schedules do not support writing, but I am hoping to change this over the next month on the road from Beijing to Nairobi to Cape Town to Maastricht. There is much to share. On 6 August 2016 two notable – and poignant – events took place on opposite sides of the world. 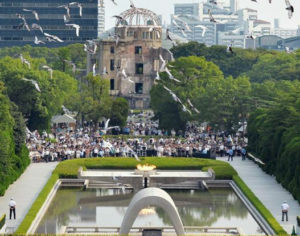 In Hiroshima, white doves were being released amidst pleas for peace in the world. This is done every year on 6 August when Japan – together with those who strive for peace – remembers the only time in history when two nuclear weapons were used to the annihilate men, women and children. On the same day, at the opening ceremony of the 2016 Summer Olympic Games in Rio de Janeiro, Kip Keino, famous Kenyan athlete, received the first Olympic Laurel, a distinction awarded by the IOC to honour those who have made “significant achievements in education, culture, development and peace through sport”. The theme of this Olympic Games was “take better care of the planet, and of each other”. This time, there was no “dove of peace” at the opening ceremony. Instead, Keino entered the stage surrounded by 200 children each flying a white kite in the shape of a dove. The kites were taken to Kenya and given to children who had never played with ones before. They wrote messages of peace on them, and then the kites were taken back to Rio to be flown by children in Brazil. The growing systems perspective of life is creating greater awareness of the interrelatedness of everything. Yet, our understanding of what exactly this means is still very limited. Even as a natural scientist – or perhaps because I am one – I believe that science is still too limited to help us to understand that we, and the ecosystems around us, are part of a much larger, integrated whole. I have travelled around the world multiple times, to more than 70 countries – many of them frequent destinations. I celebrate our diversity and, in our cultures, that which divides and unites us. I was born in South Africa during the apartheid years. I knew from the age of six that people were not all treated with equal respect. I knew that from the way my father, who was a teacher and local photographer in a small town in Namaqualand, treated people of different races when he had to take pictures for their identity documents. Many years later, when I started to understand how the world actually works, I learned that it was not so much a matter of lack of respect. 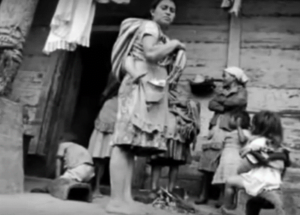 It was that lives around the world did not have equal value. We need to embrace or at least, try to understand our differences – and in doing that, value lives around the world equally. Then we will not be horrified when terrorism strikes in the heart of Paris or Brussels accompanied by hysteria in the media, yet look on with much less interest, even indifference, when multiple times more people per day are killed in attacks in Iraq, Yemen, Libya, Afghanistan, Syria or Turkey, or in Kenya or Nigeria …. What does this have to do with evaluation? The SDG agenda charges us with helping to ensure that “no one is left behind”. Through the work of Thomas Piketty, Angus Deaton and others we know that inequality is rapidly increasing, including within many rich countries. This reinforces the notion that development is now everyone’s responsibility, and that all countries have to “develop”. Of course, it is not quite that simple, as I pointed out in an earlier post. In poor countries, major transformations are imperative if multidimensional poverty is to be addressed. In richer countries, only some reforms or incremental changes are needed. We know that since 1990 the number of people living in extreme poverty (scarily, still designated as under US$1.90 per day) has declined by more than 50 percent, falling from 1.9 billion in 1990 to 836 million people in 2015. Of course, in this “success story”, China alone has accounted for more than two thirds, by now an estimated 680 million people. So, we feel good about progress. But what has the contribution of evaluation been to this situation? What will it be in future as we face the era of the SDGs? I am convinced that we need to do a lot more to find out how evaluation can help drive development, rather than the other way around. Our work has to help ensure that everyone can live with dignity and a feeling of wellbeing, irrespective of where they are in the world. It also has to contribute to a world where all lives are seen and treated as of equal value. Fleas dream of buying themselves a dog, and nobodies dream of escaping poverty: that, one magical day, good luck will suddenly rain down on them – will rain down in buckets. But good luck doesn’t rain down, yesterday, today, tomorrow, or ever. Good luck doesn’t even fall in a fine drizzle, no matter how hard the nobodies summon it, even if their left hand is tickling, or they begin the new day on their right foot, or start the new year with a change of brooms. The nobodies: nobody’s children, owners of nothing. The nobodies: the no-ones, the nobodied, running like rabbits, dying through life, screwed every which way.